Have you ever thought about making your own Halloween Costume for you or a family member? I remember my mom made me a red M&M costume when I was in grade school. I loved that thing. I think I may have worn it two years in a row. This year my daughter saw this Donut Costume that I think we may try to duplicate. How hard can it be? I will have to come back and update you during the process. 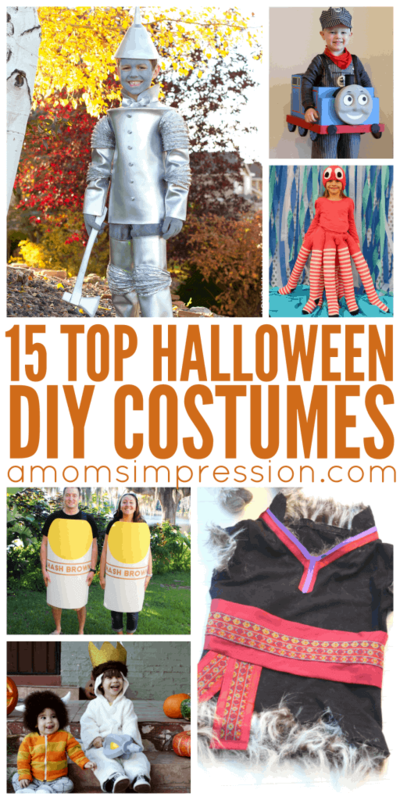 We thought it would be fun to showcase some of the Top DIY Halloween Costumes from around the web.